These are often the phrases we hear when talking about weddings. It is such a special day for the couple, their family, and their friends. 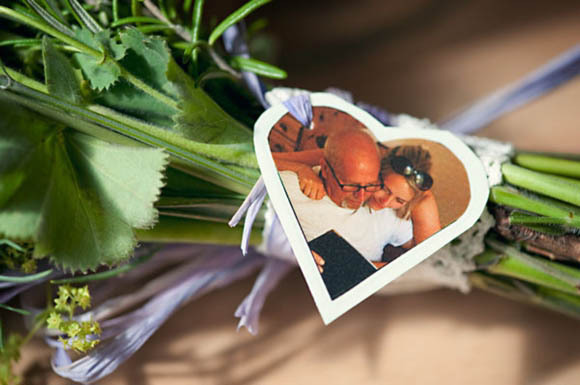 Though too often there are loved ones who are not able to be there, whether they are unable to attend, or have passed on. Parents, grandparents, family, even Spot the family dog. 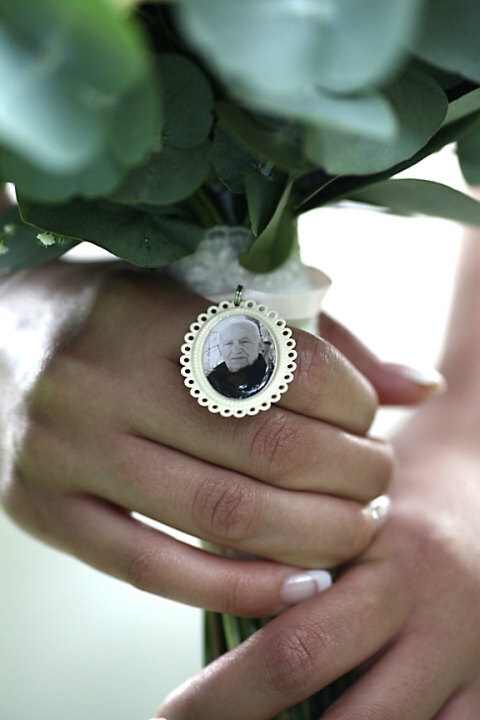 One way brides remember their loved ones is by adorning their bouquets with memory charms. 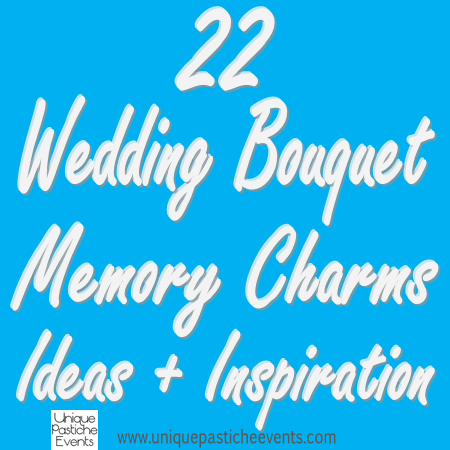 There are so many options and styles of memory charms and even more ways to incorporate them that I thought I would put together this roundup post to help inspire brides everywhere. This kit is sold by Perfect Pendants Plus on Etsy and includes everything you need to make your own charm. A simple cluster of all of your loved ones spotted on this pin. 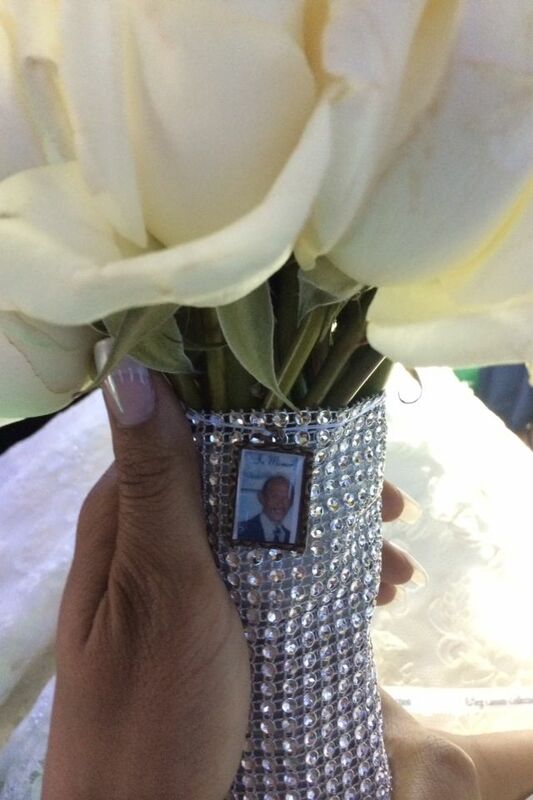 This beautiful In Memory charm bouquet with rhinestones was shared by Karlyn Hylton on Pinterest here. 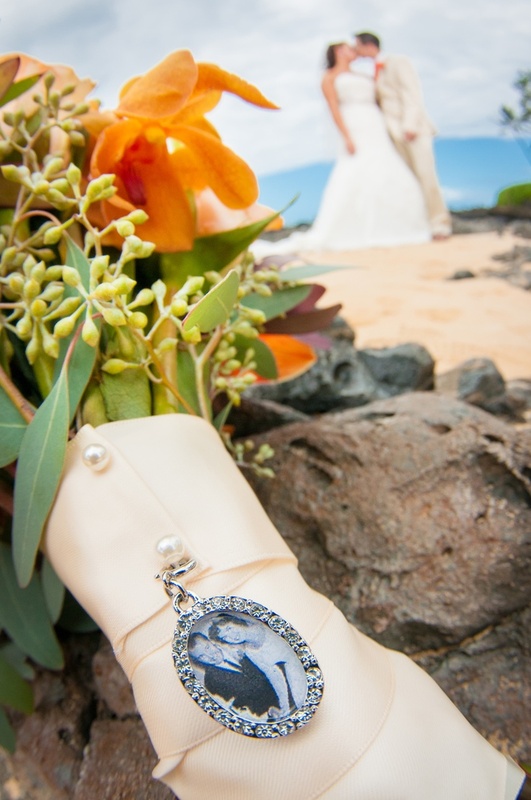 This rustic bouquet with a memory locket was shared on Snippet & Ink here. 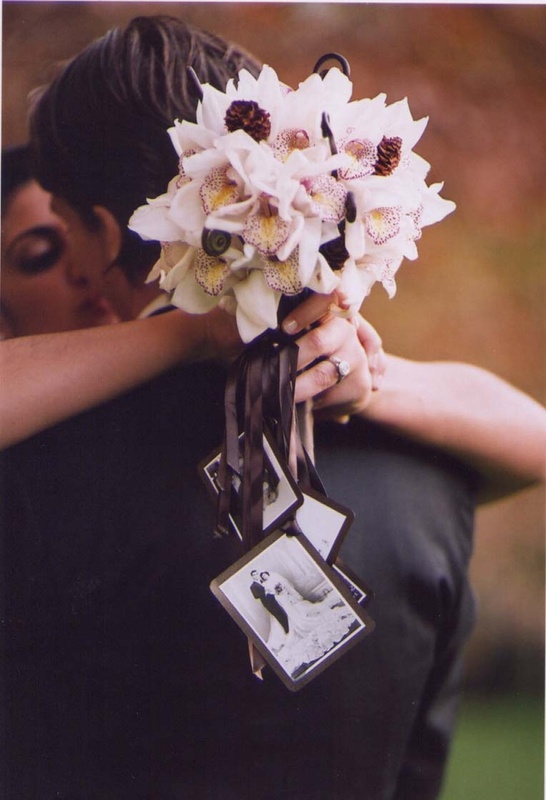 This heart shaped memory charm was shared in a woodland wedding on Love My Dress here. 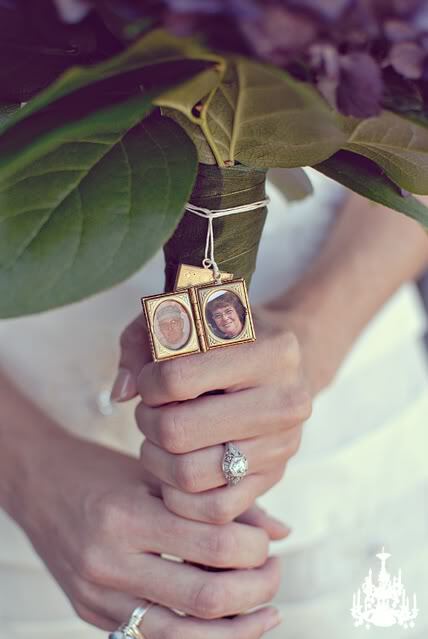 Another beautiful memory locket charm was seen here, on Lydia Jane Photography. 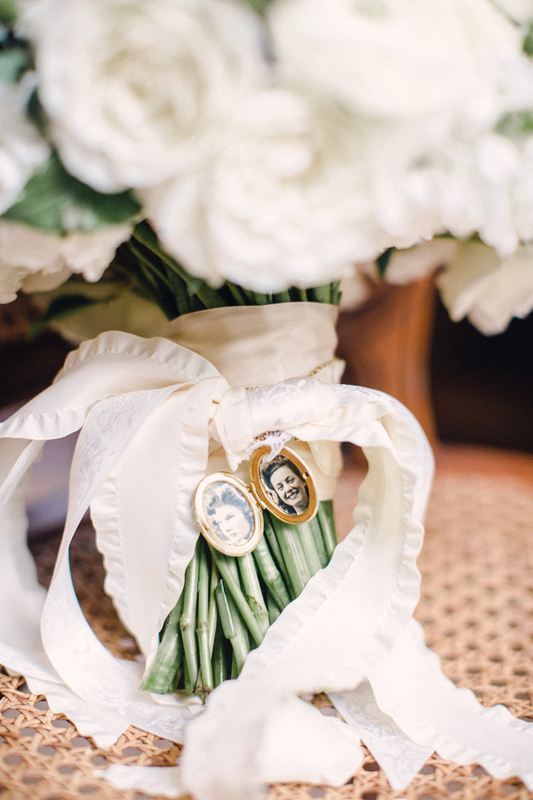 This memory charm cluster was spotted on Pinterest here. 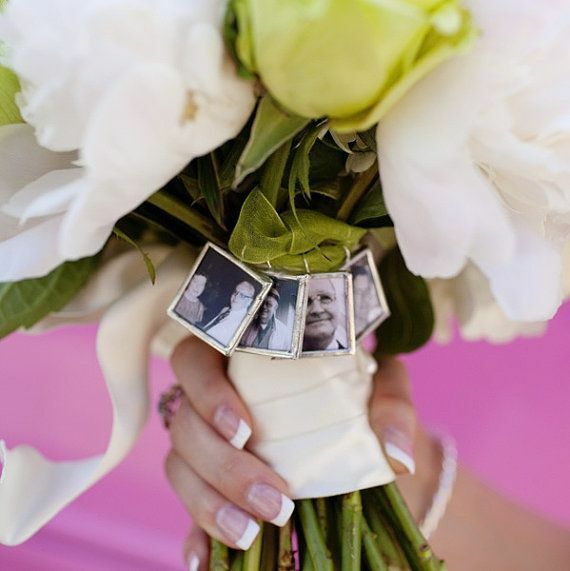 These ribbon photo charms were spotted on Pinterest and linked to Sweet Dani B. Sadly I couldn’t find a better trackback for them. Your Happily Ever After on Etsy made this memory wedding charm. 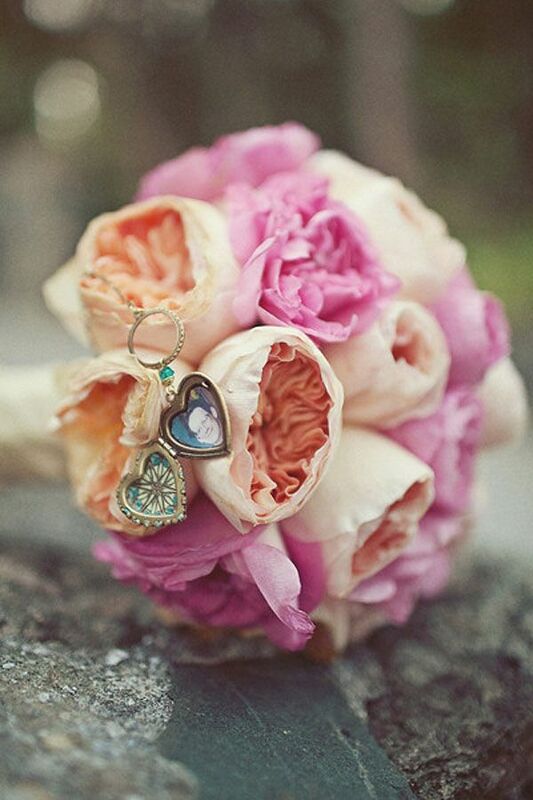 This colorful wedding bouquet and heart shaped memory charm was spotted on this pin here. 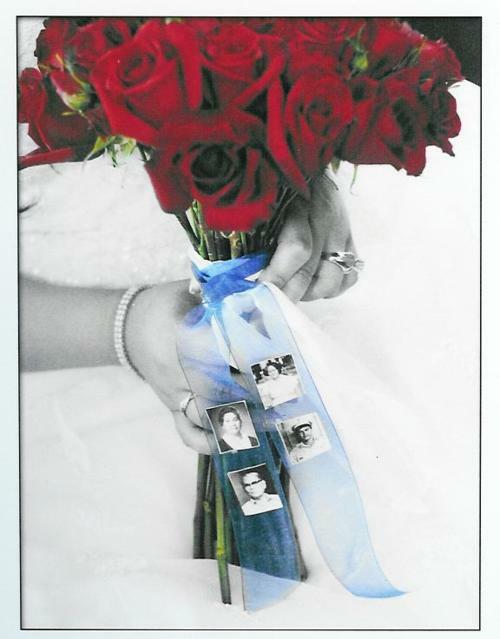 Habitat Events shared a lovely wedding that featured this bouquet, with a text memory charm. 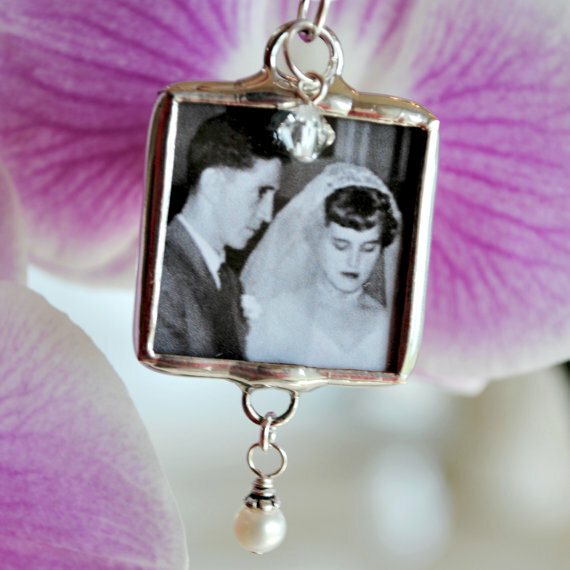 This memory photo charm is adorned with Swarovski beads and made by Glass Realm on Etsy. 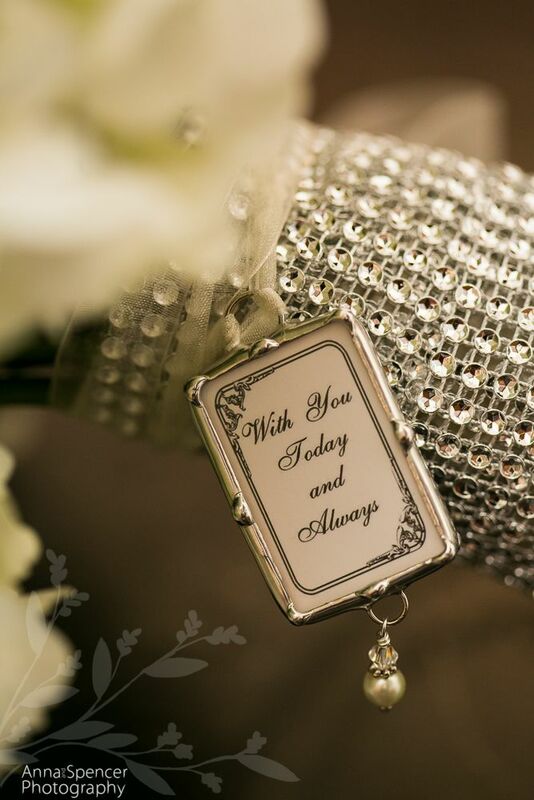 I spotted this wedding bouquet on Pinterest here with a beautiful rhinestone memory charm. 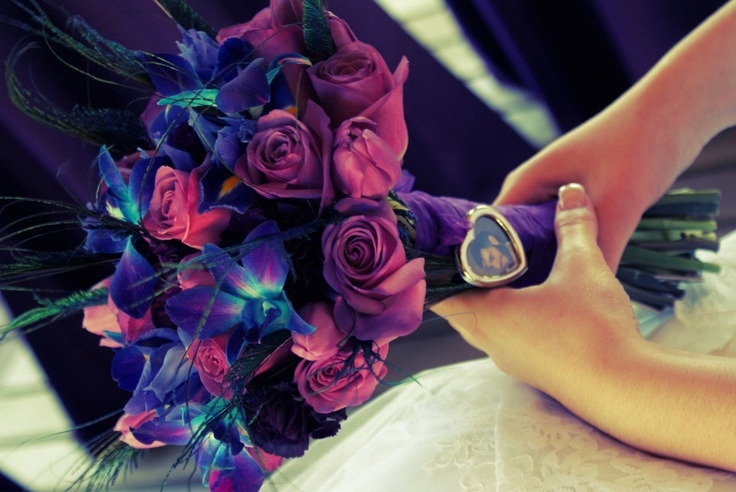 This colorful memory charm was seen on a wedding bouquet shared on My Wedding here. 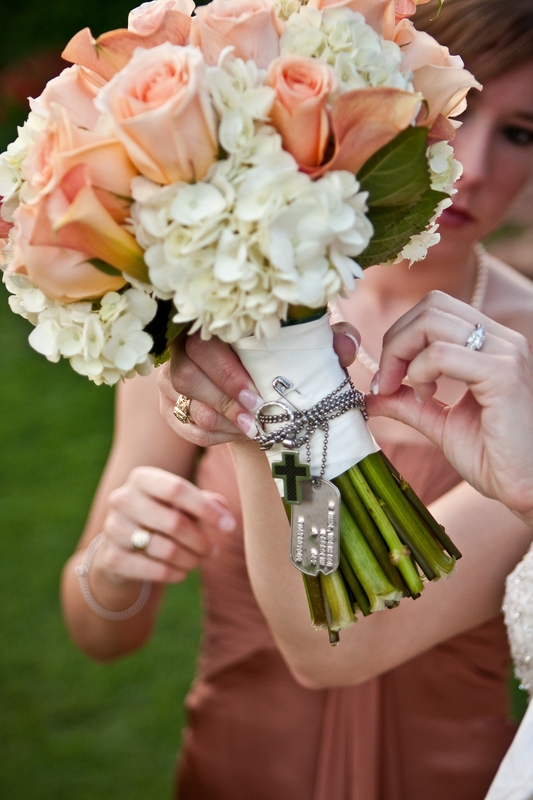 In this wedding bouquet shared by Colin Cowie Weddings, the bride wrapped her grandfather’s military dog tags around the bouquet as a memory. Bouquet Photo Charms on Etsy sells this lacy photo memory charm. 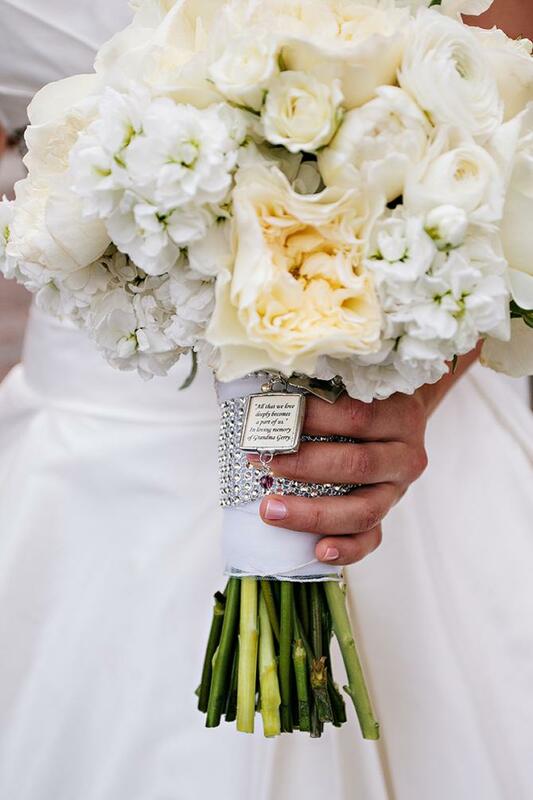 Anna and Spencer Photography’s blog shared a wedding where the bride had this text memory charm on her wedding bouquet. I spotted these family photos on ribbon here. 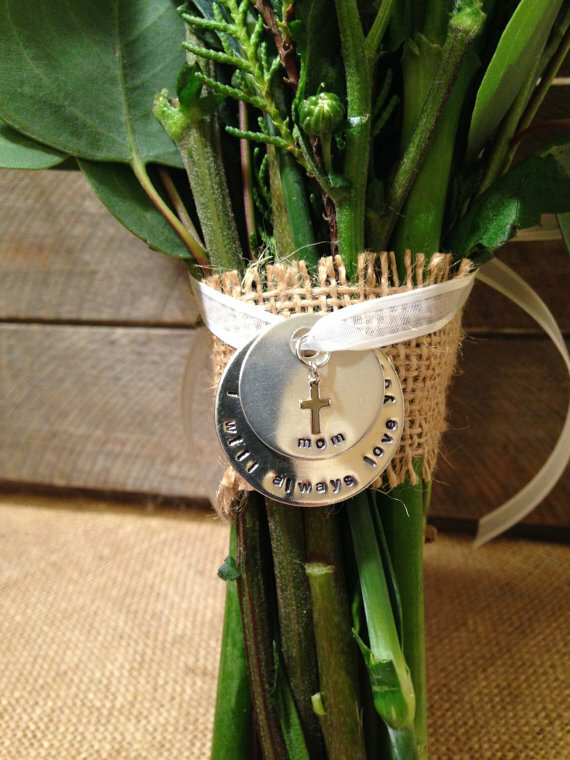 Thirty Six Design on Etsy sells these hand stamped memory charms. 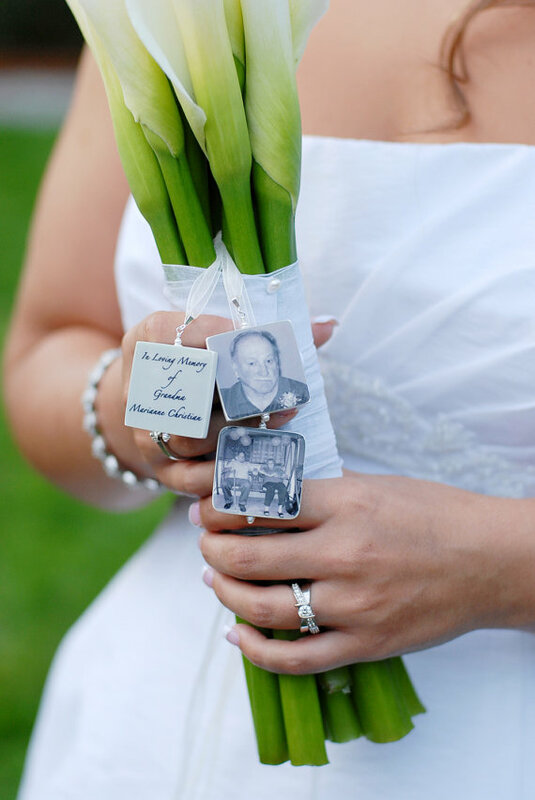 This wedding bouquet with dangling ribbons and memory charms was shared on Inspired Lives here. 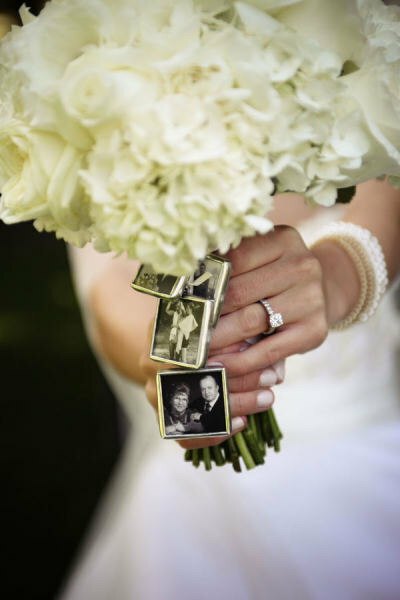 Delany Photo Jewelry on Etsy sells these custom memory photo tile pendants. 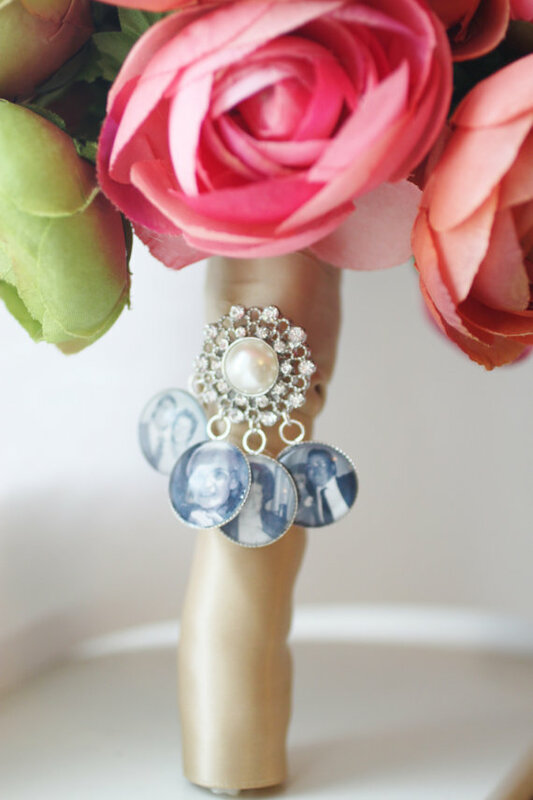 This multi photo, rhinestone and pearl bridal bouquet memory charm is sold by Charming Vintage Jewel on Etsy. 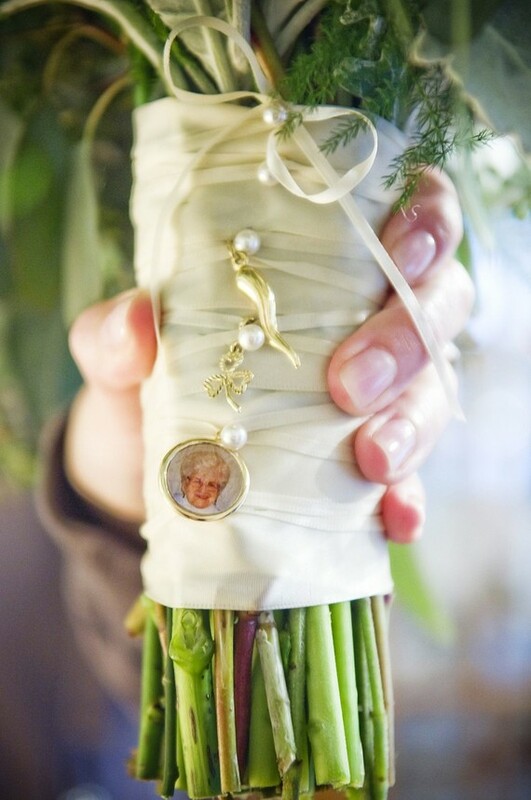 I hope you’ve found some inspiration for your wedding bouquet! Don’t forget to subscribe to the blog to see more inspiration in the future. 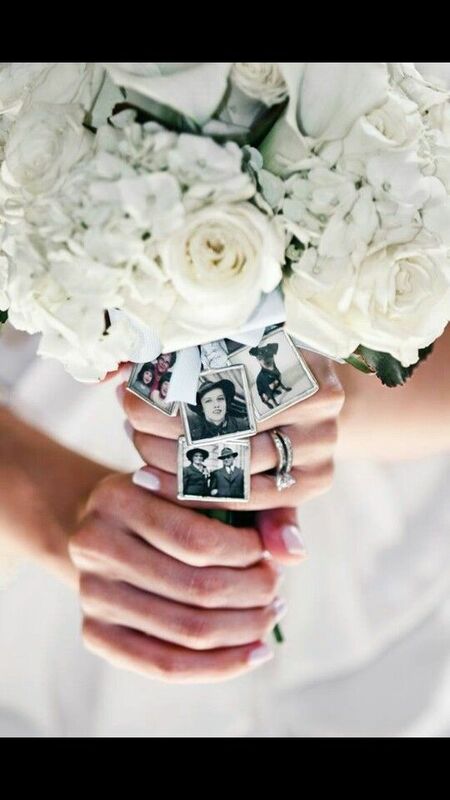 Would you include memory charms in your wedding bouquet?